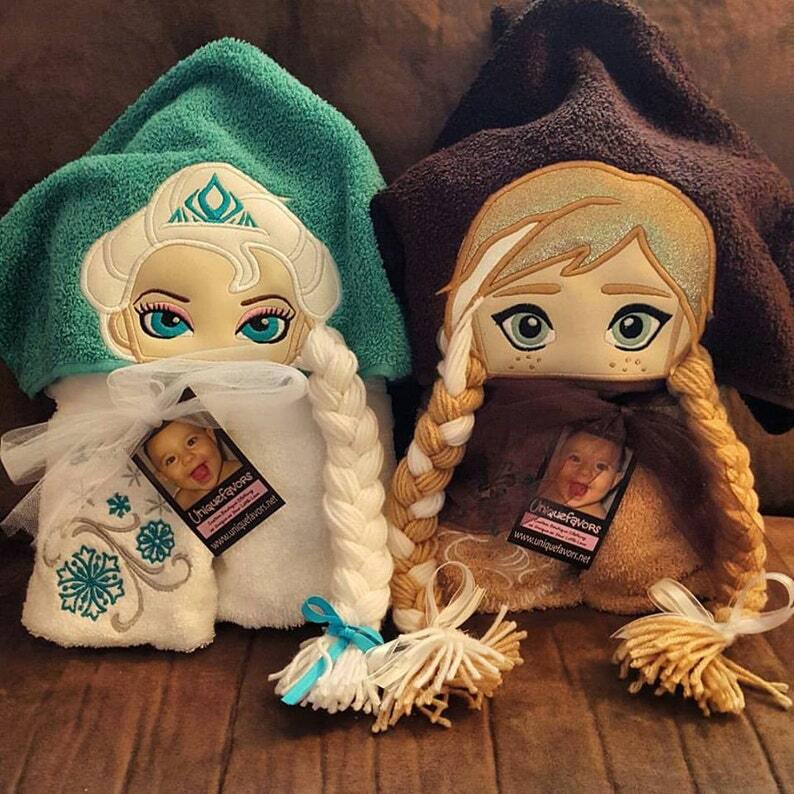 This listing is for a Frozen inspired hooded towel for kids of all ages! This is a full sized standard bath towel with an attached hood. Colors of towels will vary and you can request a color combination for the top and bottom towel. I will do my best to accommodate. 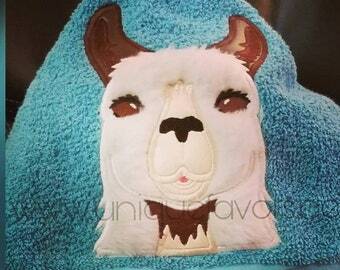 The colors used on the embroidery will also vary. I can offer custom colors on the braids and hair if you choose to change it as well as eye color. **These towels do not come with the add on embroidery shown on the bath towel (snowflakes, etc.) but you can choose to add them during check out as well as a name to the back or side of the bath towel. (The Elsa style would come with snowflakes and "Let it Go" while the Anna would come with a snowman and "Do you want to build a snowman?" on the bath towel if you choose the ADD ON option. OPTIONAL: If you would like a name added to the back or side of the bath towel, please choose that option and let me know the name and placement in your comments during check out. Want to put this design on a hoodie, tote or something else? Request a custom!! Each item is hand crafted in my smoke and pet free home. Packaged complete with tags and ready for gift giving! LIKE my fan page on Facebook to see hundreds of samples and other custom items I can create! Please check out my other party items including invites, banners, posters, thank you cards and more! If you don't see something you need, feel free to ask since I can create items to coordinate for any occasion! Masks inspired characters with optional personalization. Hooded towels or other items available. 3 characters to choose from! Custom LOL Doll inspired Birthday shirts! Embroidered optional personalization! Available on hooded towels & more! Custom Thomas inspired Birthday shirts! Embroidered optional personalization! Available on hooded towels & more! Custom Bulldog embroidery. Optional personalization! Available on hooded towels & more! Team mascot gear too! Tooth Fairy Pouch Door Hanging with optional Personalization! 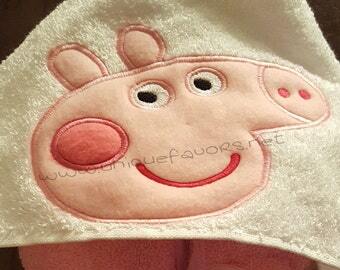 Yellow follower inspired hooded towel optional Personalization Other characters available! Stuart, Bob, Kevin or Girl Other items available! 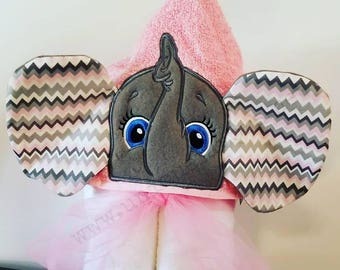 Elephant 3D ears hooded towel with optional Personalization Girl & Boy designs and color combos! 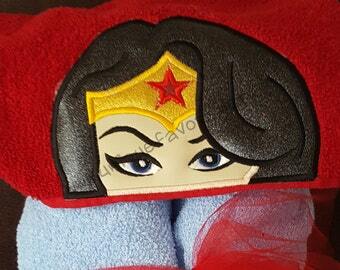 Superhero Wonder Woman Inspired Hooded Towel - Hoodies, totes & more available! 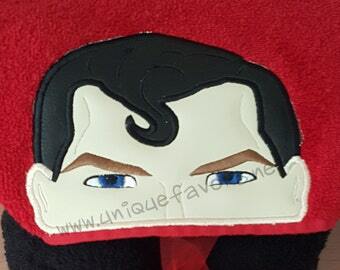 Superhero Superman Inspired Hooded Towel - Hoodies, totes, hats & more available! Other Superhero designs available! Vinyl ID holder Lanyard or Luggage Tag optional Personalization! Long lasting! Great gift for teachers, brides, grooms & more. Many uses!